It boggles my mind that the Z8 design is now 24 years old. First penned in 1995 and shown at the Japanese Motorshow in 1997, the Z8 looked outrageous and the recipe sounded perfect with internals were borrowed from the E39 M5. That meant the S62 quad-cam double-VANOS 4.9 liter V8 cranking out 394 horsepower and routed exclusively through a Getrag 6-speed manual transmission driving only the back wheels. 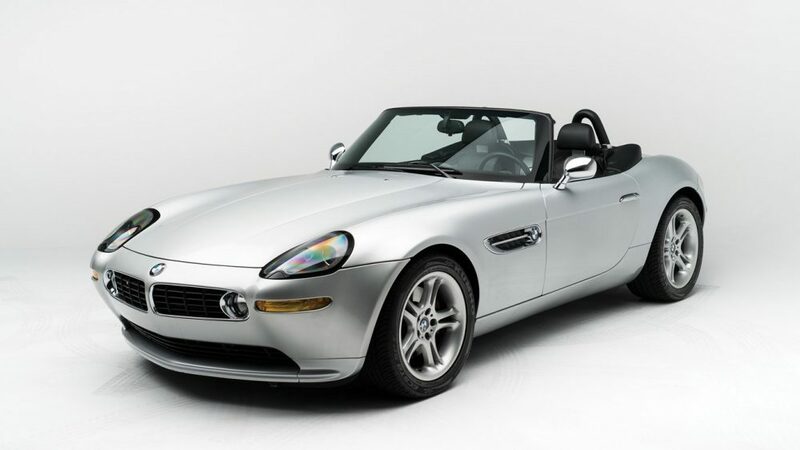 Coupled with Henrik Fisker’s sumptuous lines, the Z8 managed to both channel the history of BMW’s landmark 507 and be a cutting-edge design at the same time. It was the halo car that helped to lead BMW into a new Millennium. Sold for sometimes upwards of $160,000 they were instantly collector fodder, but these cars also caught headlines almost immediately due to problems with their aluminum space frames deforming in the shock tower area. 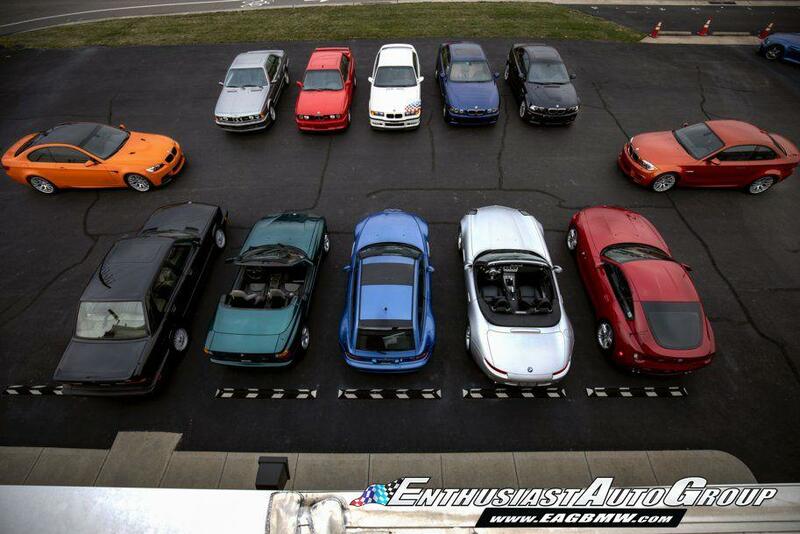 Let’s say you want to start a car collection, and for ease of argument’s sake, let’s say you’re really into BMWs. Which is the model you want? You could be a 507 enthusiast, love the classic 3.0 CSL or 2002, envy every E30 or lust over the modern muscle the company produces. But odds are if you’re reading these pages you, like me, gravitate towards BMW’s Motorsport models. Within the Pantheon of classic models, there then comes the difficult decisions. How do you choose between the E30 M3 and the 1M, for example? Well, Enthusiast Auto Group has a suggestion. Why not have them both? Or, even better, why not assemble all of the greatest hits from BMW’s M division over the past 40 years and put them together into one curated, turn-key package? I promise that this post wasn’t by design, but rather is completely a coincidence that it follows hot on the heels of the neat supercharged E34 540i 6-speed from yesterday. How do you possibly trump that potent hot rod? Well, starting with a M5 is probably a good bet. If the E34 was a potent athlete, the E39 comes across as a consummate professional. It was immediately the new benchmark for sports sedans once again, and when BMW finally did make the call to bring a M5 to market they produced what many consider to be the definitive driver’s car in super sedan form. Whatever you had from the period, the M5 was just plain better. With 394 horsepower kicking out of is snorting S62 V8 and mated solely to a 6-speed manual transmission, it was hard to conceive how that package could possibly be improved upon. That didn’t dissuade Steve Dinan, though. His S2 package fixed a car that wasn’t broken according to Car and Driver. Power was up to a massive 470 yet the car was still naturally aspirated. Bigger, better intake was met with bigger, better exhaust, and the whole package was kept up with bigger, better suspension and slowed down with bigger, better brakes. It was…well, bigger and better. 0-60 was dispatched in a tick over four seconds and it would do a standing quarter-mile in 12.7 seconds. These numbers won’t scare a Dodge Demon, granted, but are still really respectable today. 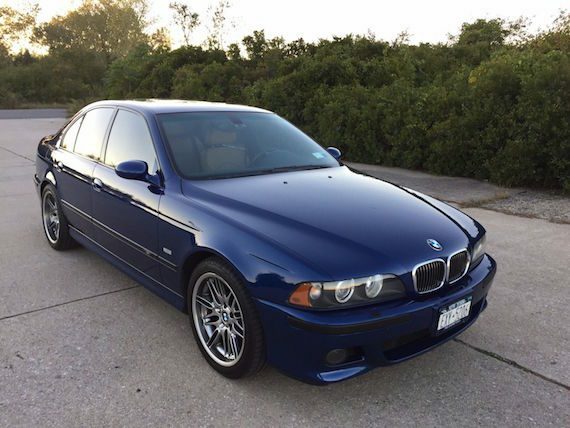 To this point, I don’t believe I’ve ever seen the E39 M5 referred to as the “first of the robot-builts”. Sound ridiculous? So does dismissing a car because it was produced in mass quantities. While the original run of 4- and 6-cylinder M-cars got the trend rolling, there are quite a few who’d argue that the recipe of the super-saloon was better achieved in the third generation M5 rather than the first two. It was still very understated, yet with 400 horsepower and instant torque it was quite a bit faster than the prior generations had been. It retained the ability to demolish back roads, keep up with super cars, and bath its occupants in luxury. Despite not being assembled ‘by hand’, it was also the last of the “analogue” M5s, with limited computer intervention and interface. And, they only came as manuals. This certainly sounds like a recipe for success. In my time looking at cars owned by the famous, I’ve run across a wide variety of people. From earlier this week of the ‘King of Basketball’ to the ‘King of Rock & Roll, I’ve even looked at actual kings. Sometimes the cars have a cool story but most of the time it is merely a name on an old piece of paper or if I’m really lucky, a photo or two of that person in the car. 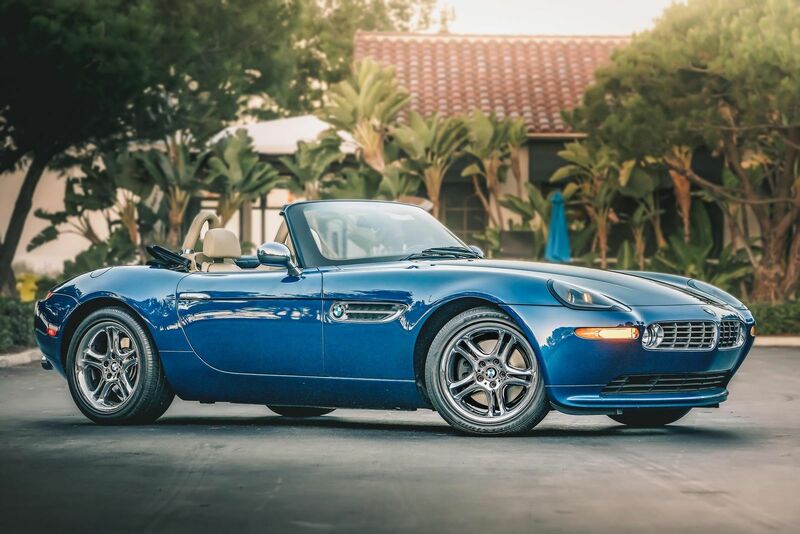 But today’s car, the gorgeous BMW Z8, was owned by a guy who changed technology and how we use it forever â€” and I could really care less. As we drove home in our E61 the other day, an E60 M5 with temporary plates sat in front of my wife and me at a light. She commented “Are those getting cheap? Because I’m seeing them more often…” She’s right. The E60 M5, with its screaming 500 horsepower V10, now can be had for around the same price as an entry level Hyundai. Pound for pound, they’re now the cheapest way to get into an M-branded 5-series. But though we own a fifth generation five, I’ll admit frankly that it’s not a car that’s for everyone. It’s big, heavy and complicated – and can be quite expensive to fix. Couple that with any M engine and drivetrain, and these cars are capable of draining your wallet as fast as they can accelerate. 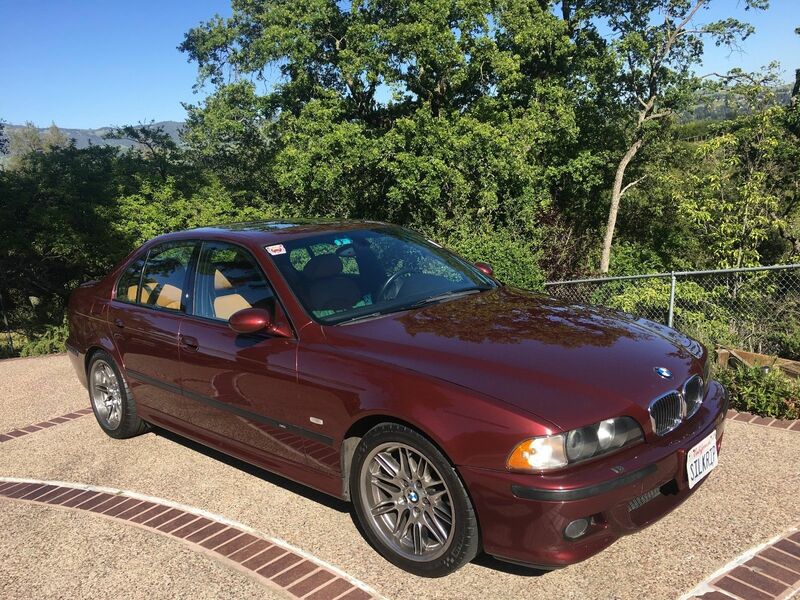 So although the power levels are lower and they’re not as flashy or modern, for many the E39 model that preceded the one we saw is still the epitome of M5s (though they’re often challenged by an equally vocal group who says the first one is the only one!). We’ve seen them start to trend upwards after dipping a bit low over the last few years, and now places such as Enthusiast Auto Group have a plethora in the $35,000 – $80,000 range depending on mileage. So you missed out on this fan-favorite, as well? There are a few select automotive tuners who can take an impressive package and refine it into an even better entity. That group includes legends such as AMG, Alpina and Ruf – all of which are staples of this segment. Yet they are far from alone. Given the task of improving on what is generally considered to be one of the greatest sedans ever made is no small feat, but if there was one group up to it, it was Steve Dinan’s eponymous company in California. 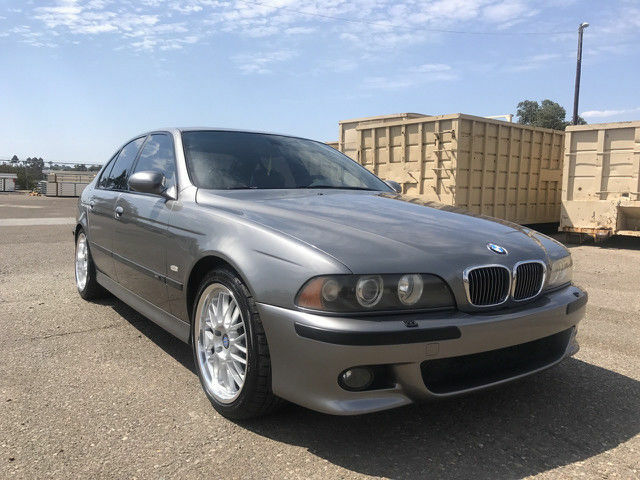 While just about anyone can take a turbocharged engine and crank up the boost, slap a few stickers on it and call it done, the E39 M5 didn’t come with forced induction. On top of that, it was a motor which wasn’t exactly underdeveloped before it went into production. Nor were the brakes, suspension, or any other aspect of the third gen M5. But Dinan thought they could improve upon them, and with a tremendous amount of work, did. Dinan went to town on the S62 from start to end. Out came the factory air boxes, air meters and velocity stacks, replaced by Dinan units of larger diameter and better flow qualities, along with larger throttle bodies bored out by the company. This necessitated reprogramming of the computer controls for the engine to match the new flow characteristics. To help the exhaust side of the motor, unique tubular headers were fit to a free-flowing, lightweight exhaust system. While this sounds a bit like old-school engineering, it was successful; the result was an additional 76 horsepower and 51 lb.ft of torque – basically, this was like adding a 1980 Rabbit’s worth of power to an already powerful car. Dinan coupled the engine mods with a shorter final drive and higher rev-limiter to reach fantastic speeds. The S2 was capable of 0-60 runs around 4 seconds flat and, in unrestricted mode, geared out around 190 mph in 6th. These are still very impressive numbers today, some fifteen years after its introduction! Of course, special forged wheels from the company were added along with their signature suspension. The price was steep, at $36,000 in modifications alone – a further 50% premium on your premium sedan. “Dinan’s latest work of art, he has not only fixed a car that wasn’t broken but also sought to perfect a car that everyone considers to be as close to perfection as is humanly possible: the BMW M5”, Car and Driver wrote in 2002. 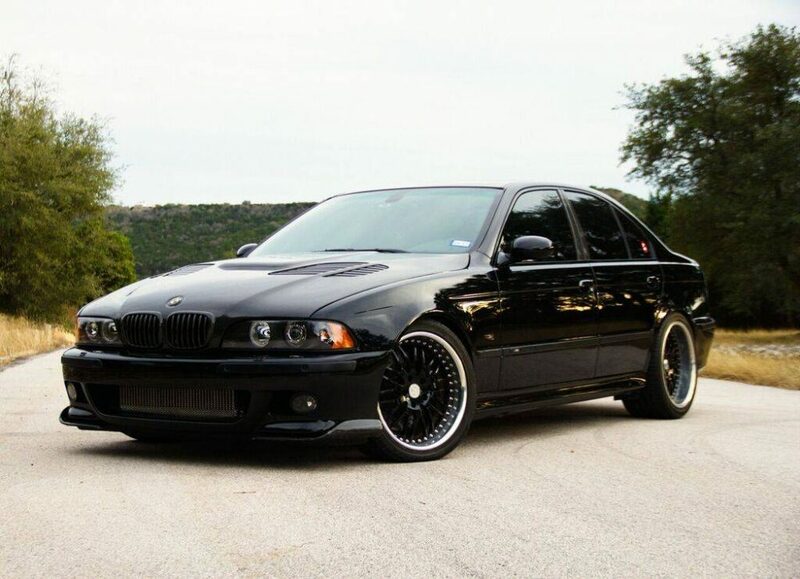 Dinan had, at that point, already made a reputation for themselves as the premier BMW tuner in the United States to the point where they became offered straight from the dealer. Considering that’s just occurred for Alpina here, the endorsement of the level of engineering from the California firm was resounding. Yet that is in part because Dinan’s modifications are far from just slapping a badge and some wheels on a car and calling it done. Take, for example the M5 S2. 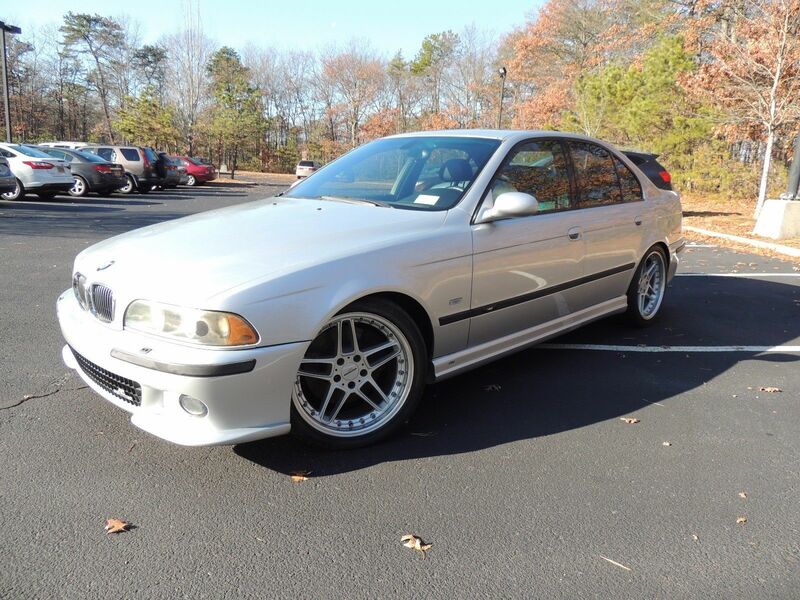 Dinan took what many considered to be a very highly developed 4.9 liter V8 in the S62 and went old-school to up the power; and up it a lot, he did. There was no supercharger or turbocharging here; revised intake and enlarged velocity stacks were met on the other end with tubular headers and a bespoke exhaust. Each throttle body’s bore was increased, too. These changes required a reflash of the computer, but were both lighter and more powerful. As in 76 horsepower more. That’s the best part of a 20% gain on a motor that many considered to be close to peak performance! Dinan further upgraded the suspension, brakes, wheels, and final drive, along with adding a lighter flywheel. As a result, the new S2 was, well, about 20% better than the already awesome M5. But that perfection cost, and it was more than a 20% increase. A lot more. 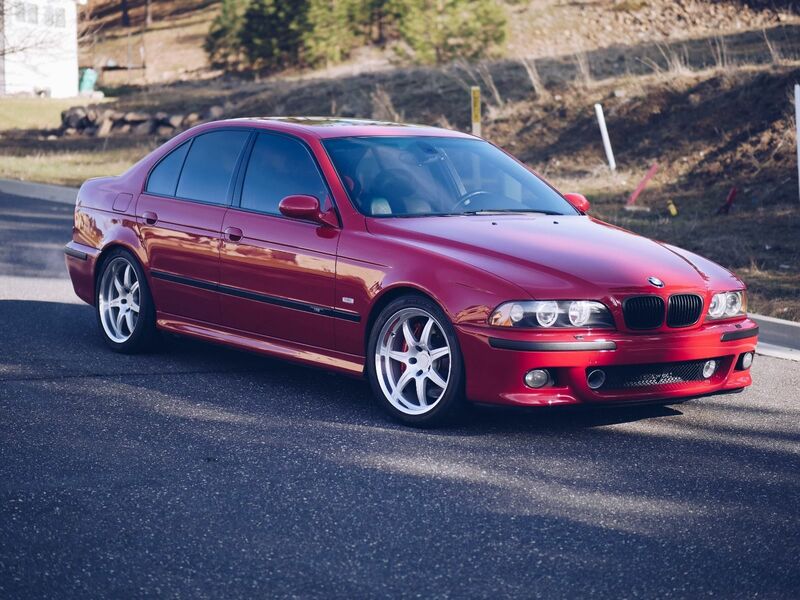 The E39 M5 continues to be a firm fanÂ favorite, and it’s not hard to see why. These carsÂ offer a compelling combination ofÂ brilliantÂ performance and everyday practicality, all served up inÂ a beautifully balanced chassis with aÂ slick 6-speed gearbox and screamerÂ of a naturally-aspirated V8 engine. I have no doubt that they willÂ one day be regarded as classics: perhaps the last of BMW’sÂ M-cars from theÂ analog era, before the advent of dual clutch auto-manuals, turbos and piped-in sound effects. Even nice examples aren’tÂ that expensive today, when you consider how much car you’re getting. It’s probably a good time to buy one, since they continue to climb in value with each passing year. 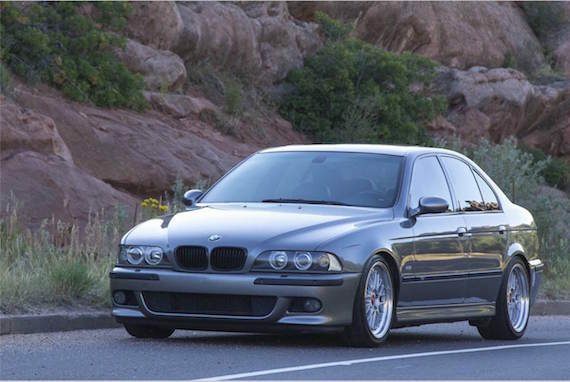 The E39 M5 is anÂ everyday supercar whose restrained exterior belies the power that comes from the monster lurking underneath its skin, a 4.9 liter V8 that makes 394 hp and will scream itsÂ way up to a 7,000 RPM redline. There’s something very pure and unadulterated about this car, and thisÂ givesÂ it aÂ special place in the heart of most M-enthusiasts. That purity comes from the application of a very simple (and by now seemingly old-fashioned) formula: take a big,Â naturally aspirated motor and add 3 pedals, 6 gears and only subtle exterior modifications to the already quite conservatively styledÂ 5-seriesÂ body shape. The product is aÂ practical,Â four door sedan that youÂ can useÂ to pick up your groceries and drive your family to the mall. Or, blitz around the track.